As part of Health Week, Catherine, from Positive PE, spent the morning on Monday 3rd June teaching gymnastics to Key Stage 1 children. 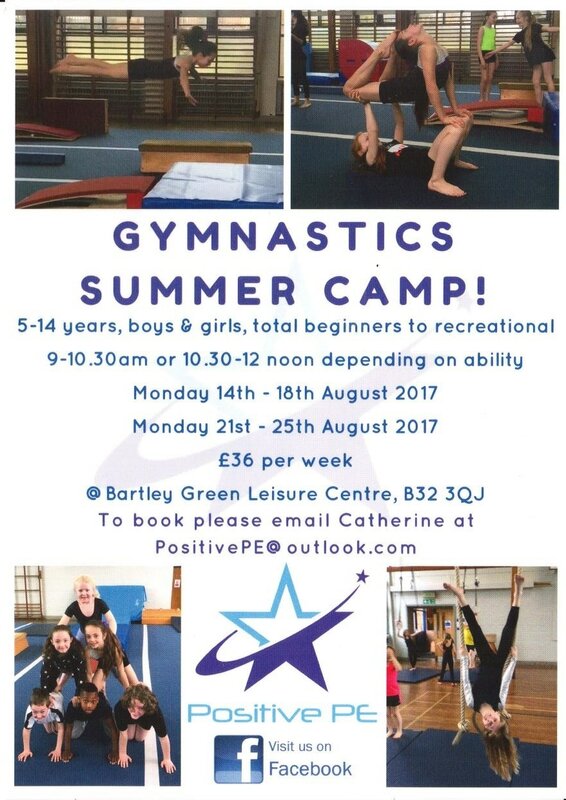 She will be running Gymnastics Summer Camp in August here, in Birmingham. Read below for more information.